Since its foundation in 1846, BT has grown into one of the world’s leading communications services companies. Today its global team of more than 17,000 serves the needs of multinational and public sector customers in more than 180 countries. BT combines its strengths in networks, ICT and innovation with a global delivery model to be a trusted partner for its customers, enabling the digital transformation of their businesses. The company is one of the largest technology investors in research and development in the UK, with a total worldwide portfolio of more than 4,700 patents and applications, around 13,000 scientists and technologists, and eight global development centres across the world. BT has operated in Australia for over 30 years, and employs over 250 people across Sydney, Melbourne and Perth. More recently, BT increased its investment in Australia from a strategic perspective, having identified the region as a strong and mature market in terms of corporate governance. Large businesses and government agencies in Australia have a good understanding of their security risks and vulnerabilities, leading to an increased demand for its cyber security services. BT provides its customers with centralised security management services from 15 global security operations centres, one of which is located in Sydney. BT’s approach to cyber security is not as a standalone practice but an integral part of the journey to digital transformation. BT uses the experience of protecting its own network from 4,000 cyber attacks a day to help customers protect theirs. BT’s Australian headquarters is in North Sydney. With corporate and government clients facing growing cyber security challenges, BT decided to expand its Sydney facility into its first global cyber security research and development hub outside the UK. The company opened the Sydney hub in September 2017 with funding from the NSW Government. 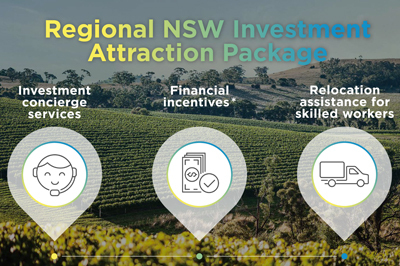 Jobs for NSW, a NSW Government–backed program that offers funds to qualified businesses, provided a $1.67 million grant to support the hub. BT has also invested $2 million in capital infrastructure for the hub and earmarked an additional multimillion-dollar investment to employ cyber security specialists. The facility is expected to create 172 highly skilled jobs over five years. Besides cyber security, it boasts expertise in areas such as machine learning, data science analytics, big data engineering and cloud computing. It deploys its solutions both locally and globally. BT takes pride in its recent investments to grow its capability in Australia, which has allowed for research and development to be brought into Sydney to contribute to the development of global platforms and creating new jobs. With the number of cyberthreats increasing daily, BT believes that its position as a global communications provider allows it to play a crucial role in developing cyber security responses for the future. One of the critical areas is investment in addressing the cyber skills shortage. In August 2018, BT announced a collaboration with the Australian Computing Academy (University of Sydney), Commonwealth Bank, ANZ, National Australia Bank and Westpac to develop cyber security challenges for Australian high school students. Additionally, BT has signed a five-year agreement with the University of Technology Sydney (UTS) to accelerate innovation and the development of solutions to tackle the growing threat of cybercrime. The collaboration will focus on cyber security as well as machine learning, artificial intelligence, data analytics and visualisation. Working with UTS will ensure Australia stays ahead of the innovation curve by bringing together the world of academia with BT’s significant focus on research and development in this sector, and large company backing. BT believes its strategic partnership with UTS will ultimately help better protect Australian organisations and alleviate the cyber security skills shortage.